The Winter Programme can be downloaded from our downloads page or by clicking here. There has been much interest in the newest member of the Club. We now have a mailing list. If you want to receive notification and news about the walks and activities of the club please click here. If you have any questions about the Clubs activities then try our FAQ's page. You can also contact the Club or enquire about joining by using the contact form. 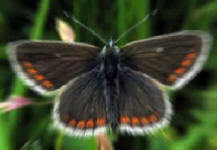 This is the website of the Consett & Vale of Derwent Naturalist Field Club. We always need walk leaders, without them there will be no walks! If you feel you could lead a walk, or you have been a walk leader before and want to submit a walk for next years programme, you can do it online. Just go to the walk leaders submission form by clicking here. Please browse through the site, where you will find sections giving information about the walks, lectures and social events as well as pictures taken by the members. There are pages covering Healthy Walking, The Countryside Code, Club Rules, Archive Material and Links to other external relevant websites.